A rising, San Diego-based hard kombucha company will take over a familiar facility: Ballast Point’s Scripps Ranch location, which, in its prime, served as the main production facility for the brewer. 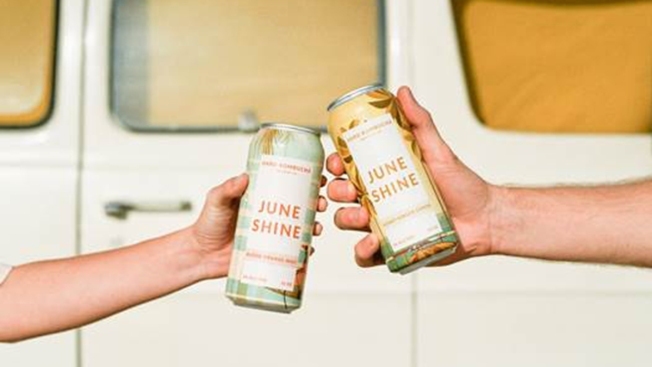 JuneShine, which opened its tasting room in North Park in June 2018, announced Tuesday it had closed its seed round of funding and had acquired the Ballast Point Scripps Ranch facility on Old Grove Road. A representative for JuneShine told NBC 7 the acquisition includes all of Ballast Point’s brewing equipment at that location, which will be used to increase JuneShine’s production of its organic hard kombucha. The facility has the capacity to produce 100,000 barrels. Last year, Ballast Point announced plans to move out of its Scripps Ranch tasting room and consolidate its brewing operations to its facility in Miramar. Ben Dollard, president of Constellation Craft & Specialty, the company that owns Ballast Point, said the deal is a win-win for both parties. "Scripps Ranch represents a lot of history and growth for Ballast Point," Dollard said in an email to NBC 7. "Our decision to make this move and create one brewing hub at our Miramar headquarters by bringing together our Scripps Ranch brewing staff and some of our cellar and brewing equipment under one roof allows us to foster an even stronger environment of cross-functional collaboration and enhance our industry-leading quality efforts." "With JuneShine acquiring our Scripps Ranch facility, we’re happy to have found another local company to occupy the location so that the art and love of brewing can live on in this space," he added. According to a representative for JuneShine, the hard kombucha company expects to open production at the Scripps Ranch location by this April or May. The tasting room portion of the space will likely be open to the public by summer. For now, the equipment will only be used to brew hard kombucha. 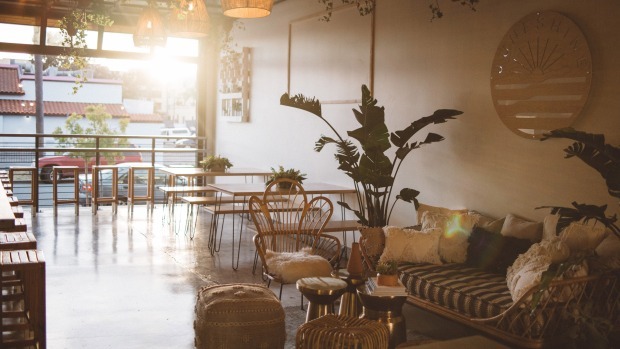 JuneShine plans to remodel the tasting room, patio, office, and brewery to coordinate with the “coastal bohemian” feel of the company’s North Park tasting room, the rep said. The North Park location will remain open as a production space and tasting room, in addition to the Scripps Ranch location. JuneShine co-founder and CEO Greg Serrao said his company hopes to see success in the Scripps Ranch building similar to what Ballast Point experienced there. "The Scripps Ranch facility is a historical building, a key contributor in legitimizing the craft beer industry, which also enabled Ballast Point to produce enough product to become one of the biggest private alcohol companies in the U.S.," Serrao said in a press release. As its production potential increases, JuneShine is eyeing expansion both within and outside of California. Serrao called the acquisition of the Ballast Point facility a "timely opportunity" as JuneShine works to become a leader in the world of hard kombucha. JuneShine produces a “hard” version of the trendy fermented beverage that has 6-percent alcohol by volume per 16 ounces. Currently, the company distributes four flavors in both cans and draft throughout San Diego and in some parts of Orange County and Los Angeles: Blood Orange Mint; Honey Ginger Lemon; Cucumber Mojito; Midnight Painkiller (a blend of activated charcoal, pineapple, coconut, orange, and nutmeg). More flavors can be found on tap at the tasting room. Each flavor is brewed to include probiotics, vitamins, and antioxidants, according to the company. The Scripps Ranch facility, which opened in 2006, served as Ballast Point's first production brewery. In 2013, the brewing company opened its first restaurant-brewery in Little Italy. The following year, demand outgrew the tanks at Scripps Ranch, and Ballast Point moved its main production and headquarters to its hub in Miramar. In 2015, Ballast Point joined the Constellation Craft & Specialty. Today, the company founded in 1996 as a small group of San Diego home brewers has grown into San Diego's largest brewery. 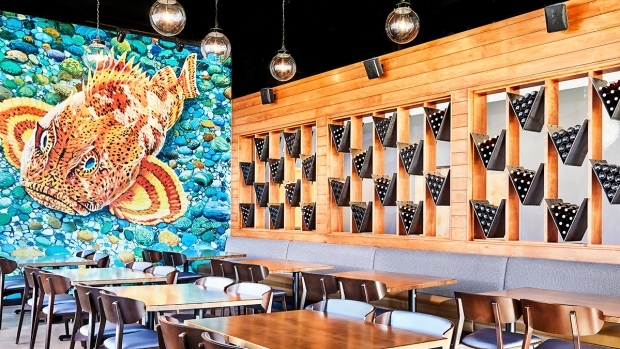 In addition to the San Diego locations, Ballast Point has expanded to include a brewery and restaurant in Daleville, Virginia, a brewery and restaurant in Chicago, and, most recently, a brewery and restaurant at Disneyland Resort's Downtown Disney District, which opened last month.